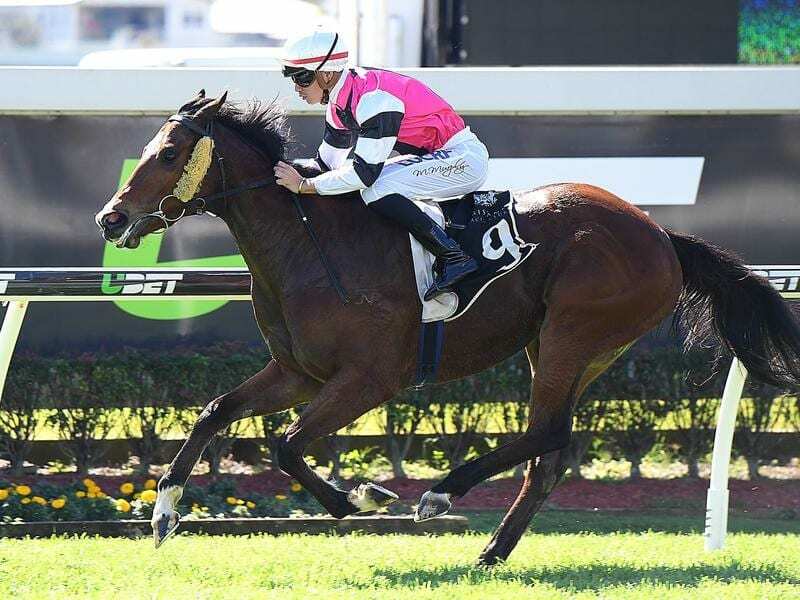 Archer’s Paradox will help commemorate the 50th anniversary of Queensland’s last official metropolitan match-race when she steps out at the Sunshine Coast. Archer’s Paradox races in the same colours as Susan Brolga who was trained by John Rosenthal and owned by Ian Hocking when she won the last official match-race beating Country Gossip at Eagle Farm on Australia Day 1969. Hocking went on to be a top trainer in his own right with his best horse the 1984 Thousand Guineas-Flight Stakes winner Goleen. When Hocking died several years ago his colours were taken over by family members. Archer’s Paradox takes on a slick field in Saturday’s 3YO Handicap (1000m) at the Sunshine Coast. The form guide shows filly Archer’s Paradox’s only run at the tough Sunshine Coast track was a well beaten eighth in a field of 12. In reality it was one of her best efforts to date and confirmed trainer David Murphy’s high opinion of her. In the race last July, Archer’s Paradox went stride for stride with the unbeaten Zoustyle who went on for a comfortable win. “Tony’s horse is a genuine star and she is one of the few horses to go with him in any of his races,” Murphy said. “She has since won twice at Doomben and been minor placed three times including a third to Zoustyle. Archer’ Paradox cost $18,000 as a yearling but her prize money will go to more than $200,000 including bonus payments with a win on Saturday.